Current last-mile delivery models (with all their shortcomings) are not sustainable from a financial point of view. That is why an increasing number of delivery providers are looking to charge extra for home deliveries and establish the delivery to parcel shops as a new standard. A survey by PricewaterhouseCoopers shows that 50% of the respondents would in principle be willing to pick up their parcels themselves. 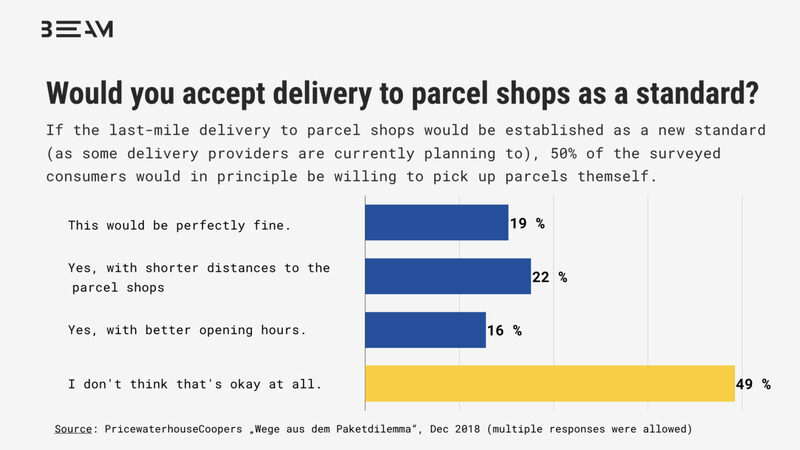 However, this option is yet not attractive enough as 22% demand a better network of parcel shops and parcel stations, 16% better opening hours. Young online shoppers are particularly open to default deliveries to parcel shops or parcel stations. Three quarters of 18- to 22-year-olds can well imagine picking up their deliveries; older consumers are much more sceptical. Across all age groups, on average 53% of the people that were surveyed are willing to pay additional charges to CEP service providers in order to get parcels delivered to their doorstep nonetheless. It shows that among 18- to 29-year-olds the acceptance is highest with 4 out of 5 people willing to pay extra. 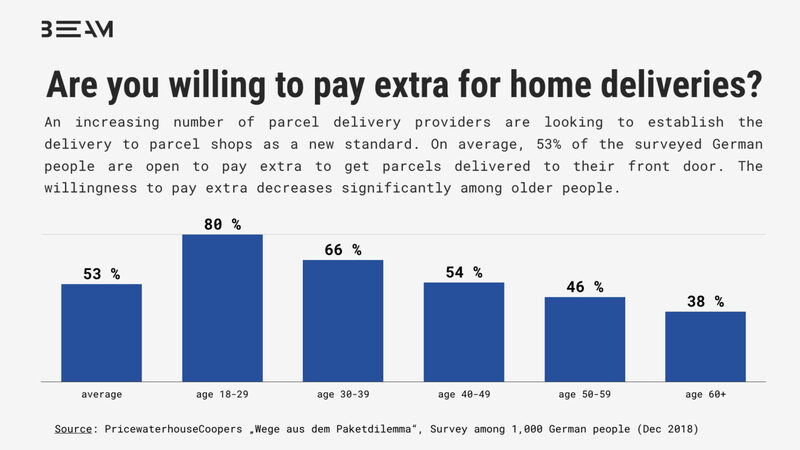 The willingness to pay decreases significantly among older customers. Now that we have seen that on average every other person would not mind additional charges for home delivery, we want to look further at how much people would actually pay for this service. 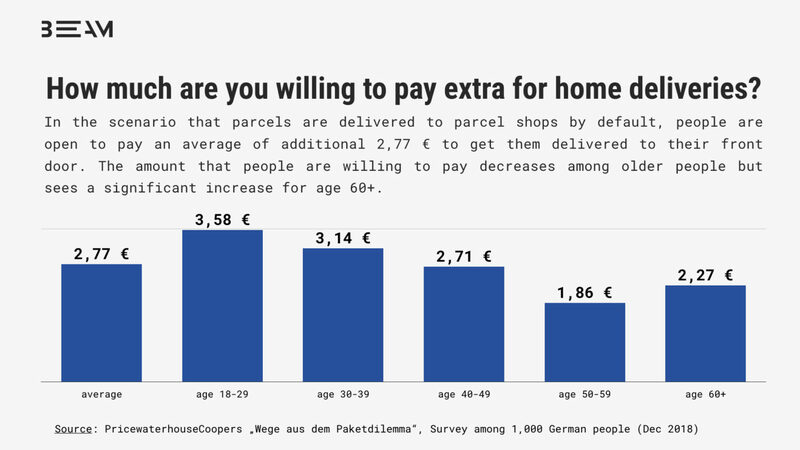 The survey shows that people are generally open to pay an average of additional 2,77 € for home deliveries. It shows that the younger the recipients, the higher the willingness to pay: 80% of the 18- to 29-year-olds would be ready to pay an average of 3,58 €. This amount decreases among older age groups but sees a significant increase for age 60+.